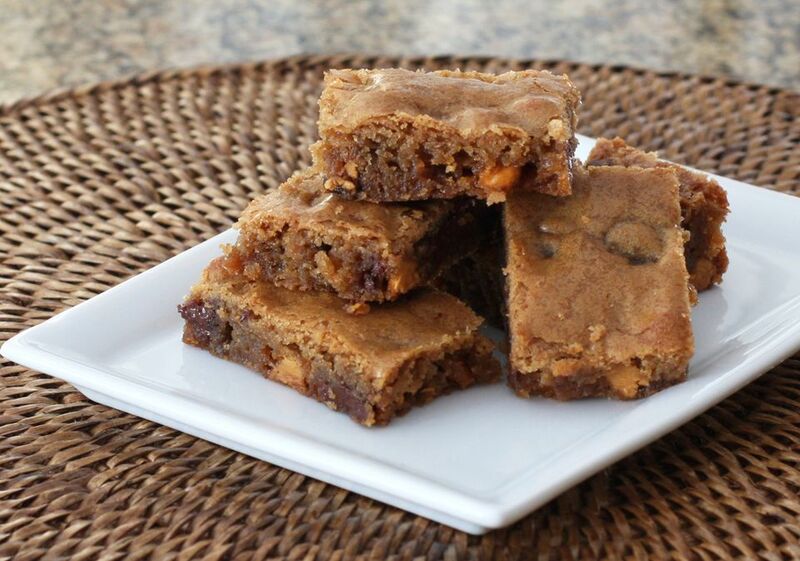 Chocolate and butterscotch chips give these blonde brownies extra flavor, or you could use chocolate and peanut butter chips. In a bowl or on a sheet of wax paper, combine the flour, baking powder, soda, and salt. Set aside. In a mixing bowl beat the melted butter with brown sugar until smooth. Fold in the chips and nuts, if using. Spread in the prepared pan and bake for 20 to 25 minutes, until set and lightly browned.